Chinese-owned auto manufacturer The London Taxi Company has unveiled the glass-roofed hybrid TX5 prototype that is set to be used as the UK capital's latest black cab. The TX5 model was unveiled by automotive manufacturer The London Taxi Company (LTC) – purchased by Chinese company Geely after going into administration in 2012 – at an event at London's Lancaster House, as part of Chinese president Xi Jinping's four-day visit to the UK. The six-seater car features a lightweight aluminium body, rear-hinged passenger doors, and a panoramic glass roof – which LTF claims is a first for the black cab. Although the cab is slightly taller and longer than its predecessors, the design team referenced some of the 1958 Austin FX4 model's classic features in the new model. All of the cars will be equipped with WiFi capability and will provide charging points for both drivers and passengers. The hybrid TX5 replaces the black cab's usual diesel engine, instead running on a batter-powered electric system with a four-cylinder petrol engine that kicks in once this has been drained. The seven-seater Metrocab – approved for fare-paying passengers in February 2015 – similarly runs on electricity, and is currently being trialled across the city. The creation of the TX5 was overseen by British designers Pete Horbury – former chief designer at Volvo and head of design at Ford in Detroit – and David Ancona, another former Volvo chief designer. "We were acutely aware of the huge responsibility that comes with introducing a new generation of design for what is already an instantly recognisable and iconic vehicle," said Horbury in a statement. 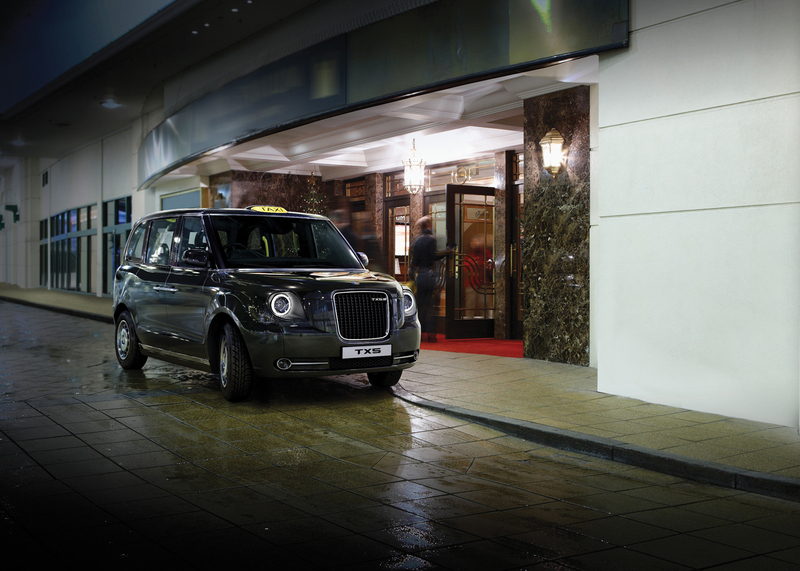 "We wanted to retain those aspects that make the London taxi what it is and what it stands for, while ensuring that the new design reflects everything that a 21st-century vehicle needs to be." "We have sought to build on existing features such as the headlights, grille and strong roof lines," he added. "But we have also made sure that the new vehicle significantly builds on space and comfort levels for both passengers and drivers." LTC plans to launch the model in the UK at the end of 2017, and introduce it to international markets in 2018.